Amazon is offering up yet another FREE music download! 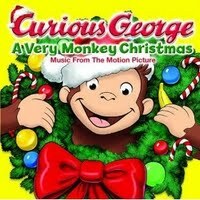 Currently, you can download the song “Christmas With A Monkey” for FREE! Also, don’t forget that Amazon is offering up some other great music freebies! Every day through December 25th, you can click here and download a FREE Christmas song! They will reveal a new song each day.